On the Netflix blog, Reed Hastings, Netflix's Co-Founder and CEO, apologized for the way he handled many of the recent changes. Specifically, he mentioned the separation of DVD and streaming services as well as Netflix's price increase. The issue, as Hastings describes it, is not in the change, but in his failure to communicate the rationale behind those decisions. Reed continues to explain that the split between its DVD by mail and streaming services are "becoming two quite different businesses, with very different cost structures, different benefits that need to be marketed differently, and we need to let each grow and operate independently." As a result of this change, the DVD by mail service will become an entirely separate business known as Qwikster. The new company will have its own web site, logo, envelope, and leadership. 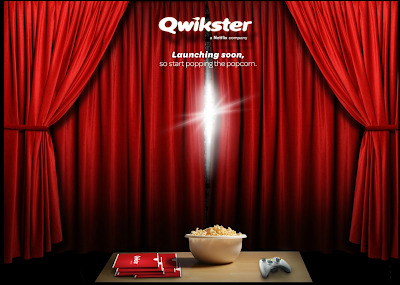 Andy Rendich, a 12 year employee of the company, will step up as Qwikster's CEO. In addition to DVD's, Qwikster will also deliver video games to the XBox 360, Wii, and PS3 consoles, for an extra fee. Once the change happens, Netflix will only provide streaming services. Customers that seek to continue receiving DVD's and streaming entertainment will have to manage their queues from separate web sites. This also means separate bills. To get more details on the recent announcement, check out the video below.